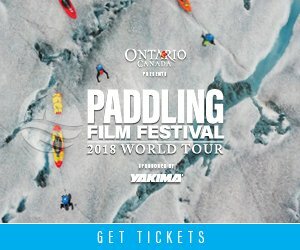 "Since 2006, the Paddling Film Festival World Tour has been showcasing the very best paddling films. The World Tour screens in more than 120 cities around the world. Join us for this year's best paddling films. You'll be inspired to explore rivers, lakes and oceans, push extremes, embrace the paddling lifestyle and appreciate the wild places." *Purchased tickets will be available for pick-up at the door of the event. Let your friends know you're going or invite them on Facebook!